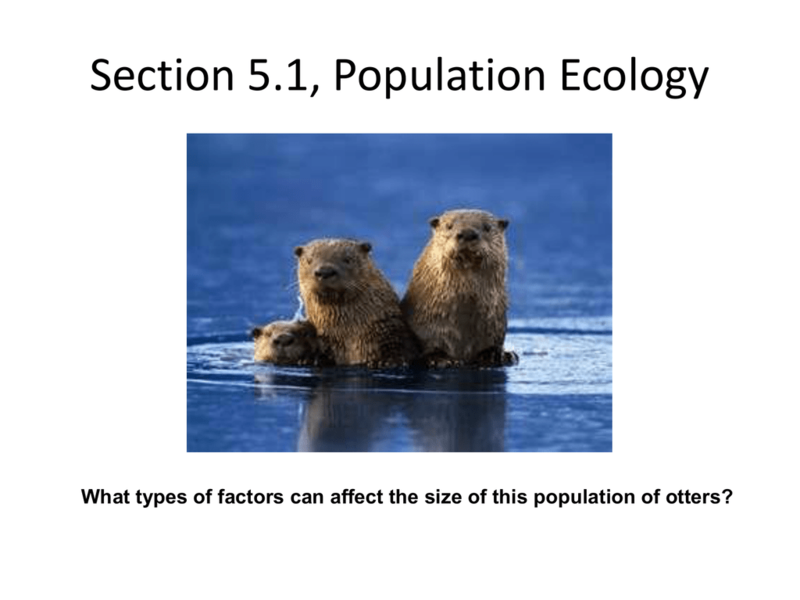 What types of factors can affect the size of this population of otters? greater than its death rate. 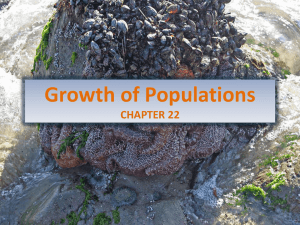 In nature, one population cannot grow exponentially forever. 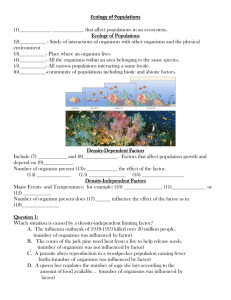 population that an environment can support. 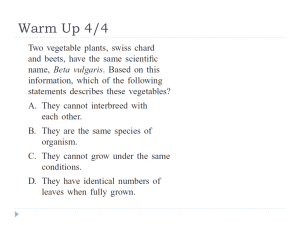 • Ecologists call such substances limiting nutrients. 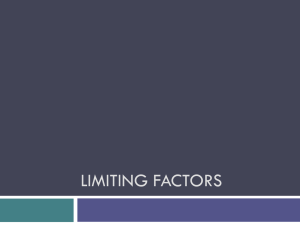 general ecological concept: a limiting factor. 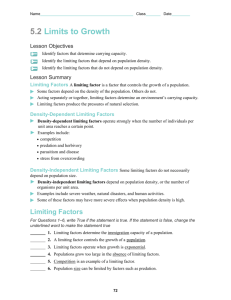 called a density-dependent limiting factor. 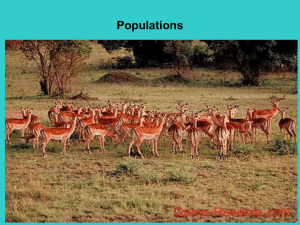 • Populations in nature are often controlled by predation. within a predator-prey relationship, one of the bestknown mechanisms of population control. 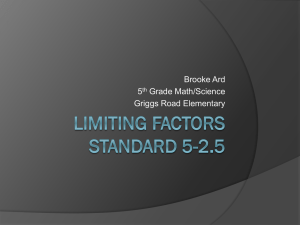 • Parasites can limit the growth of a population. 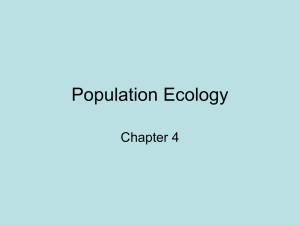 – Limiting factors kept population sizes low. 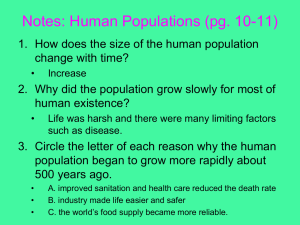 populations will change over time. change in birth and death rates. 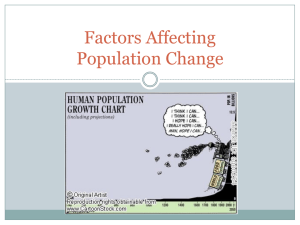 • The demographic transition has three stages. 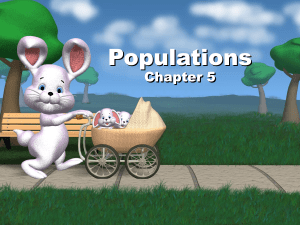 people of different ages make up a given population. country broken down by gender and age group. as the prevalence of life-threatening diseases. 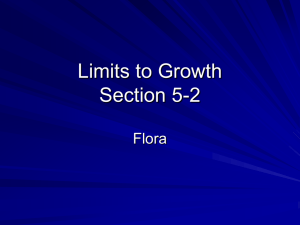 transition, growth rate may level off or decrease.